Invigorate your art practice by joining designer and Faber-Castell creative Mou Saha for a month of mixed media exploration. Each day, Mou shares her favorite techniques for adding textures, creating layers, playing with color, and transforming trash into treasure.... Hand-lettering techniques are a popular and visually dynamic way to add textual elements to crafts, from journals to mixed-media art. Sixteen accomplished contributors - including calligraphers, painters, collagists, card makers, fiber artists and graphic designers - give their personal perspectives on lettering. Upping your hand lettering game doesn’t have to be difficult. In fact, you can create intricate letters from A-Z easily – when you start to embrace your “imperfections” and enjoy the process. During this demonstration, you will get a general overview of basic collage techniques to add texture and visual interest in your mixed media painting. 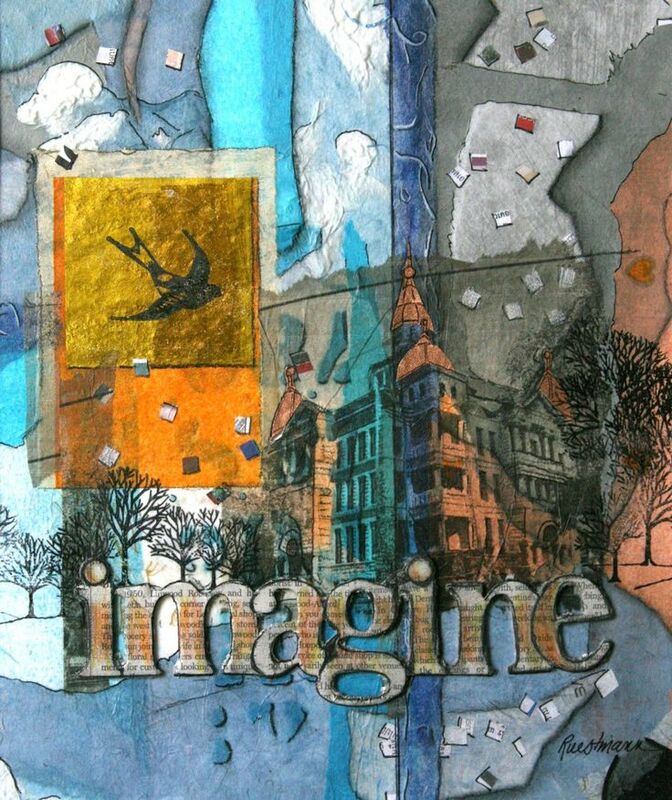 Learn how to best layer media, products, and words to convey the meaning of your mixed media piece! In the January issue, we brought you Lettering Workshop for Crafters edited by Suzanne McNeill. This is a perfect book for all those mixed media crafters who like to add lettering to their work.